The Cave Canem Fellow is the Editor of the women’s anthology His Rib: Stories, Poems & Essays by HER and author of several books including her latest book of poems: Swag. She has released five LPs including the live album Sheroshima. 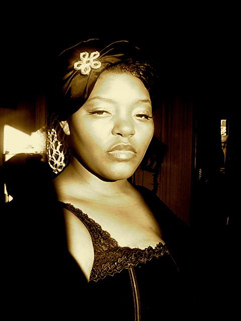 As co-founder of the Off Broadway poetry production, Jam On It, and co-producer of NYC’s 1st Performance Poetry Festival: SoundBites Poetry Festival, Mahogany bridges the gap between lyrical poets and literary emcee. Her freelance journalism can be found in magazines Uptown, KING, XXL, The Source, Canada’s The Word and UK’s MOBO. She facilitates performance poetry and writing workshops throughout the country, focusing on women empowerment and youth mentoring. She is the publisher of Penmanship Books, a small press for performance artists and owns PoetCD.Com, an on-line marketing and distribution company for poets. Mahogany is currently the slam host & curator of the Friday Night Slam Series at the Nuyorican Poets Cafe.